Every story begins with a messy first draft. This beginners’ clinic is a constructive and supportive environment that will help you identify the strengths and weaknesses of your story, learn the elements of your craft and provide direction for your next draft. Receive direct feedback from your tutor and fellow course participants with this email correspondence course for those just starting out in short story writing. Laura Jean McKay writes about humans and other animals. Her novel, The Animals in That Country, is out with Scribe in 2020. She is also the author of the short story collection Holiday in Cambodia (Black Inc. 2013). 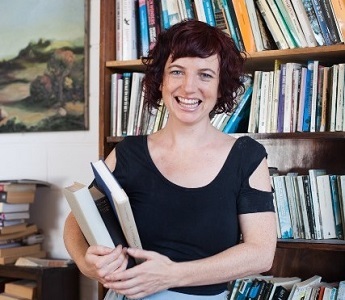 Her work appears in 'Best Australian Stories', 'The North American Review' and 'The Saturday Paper'. Laura has a PhD from the University of Melbourne and she is currently the ‘animal expert’ presenter on ABC’s 'Animal Sound Safari'.